MUTXIKO Elkartea participated in the Danborrada (Drummer parade) along with other associations in town. Mutxiko received the visit of Rancho Folclorico de Outeiro from Outeiro, Viana do Castelo, in Portugal. 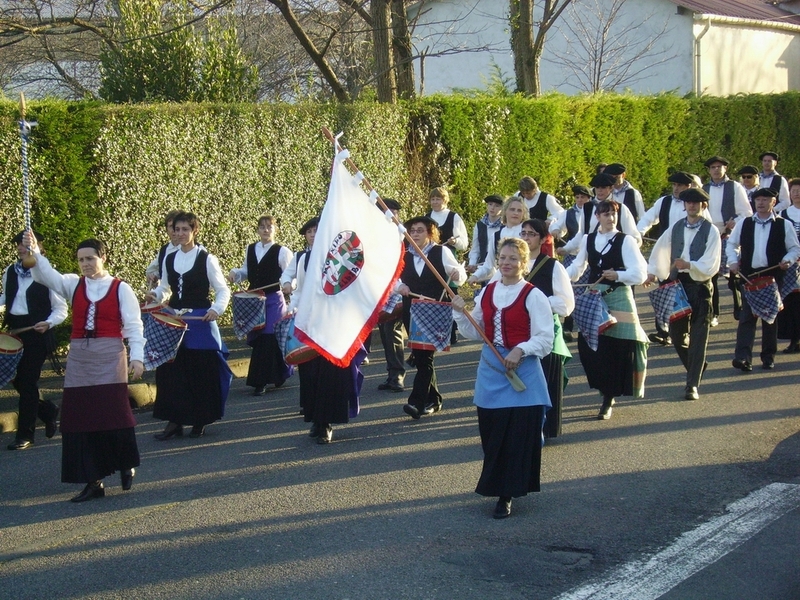 Mutxiko travelled to Viana in 2007, and this time it was the Portuguese group who came to Hendaye (both towns are twinned). 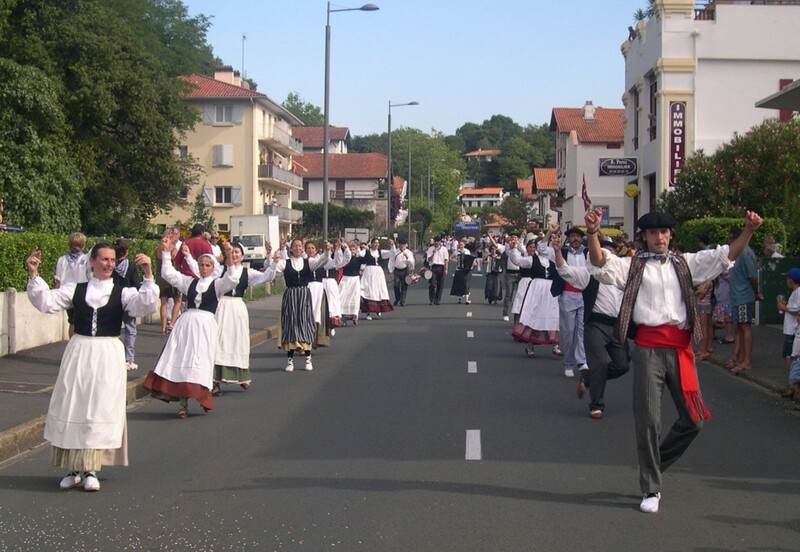 During their stay they had the chance to visit Hendaye, Hondarribia, San Sebastian, …Both groups offered a dance Performance in Daniel Ugarte (Belzenia) pilota court in Hendaye. Our thanks to the Town hall of Hendaye and the twinning committee for their help hosting the Portuguese group. 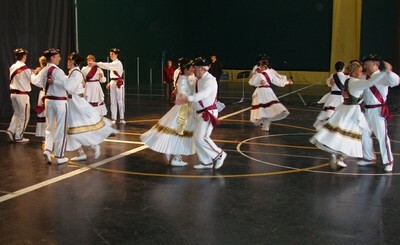 Mutxiko Elkartea offered two performances in the Holliday center Haiçabia in Hendaye. 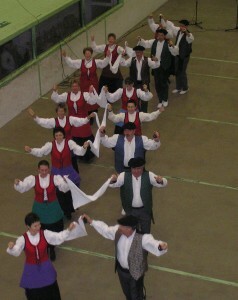 Mutxiko offered two complete dance performances in the Chourio pilota court in Ascain, as part of the summer activities programme of that town. 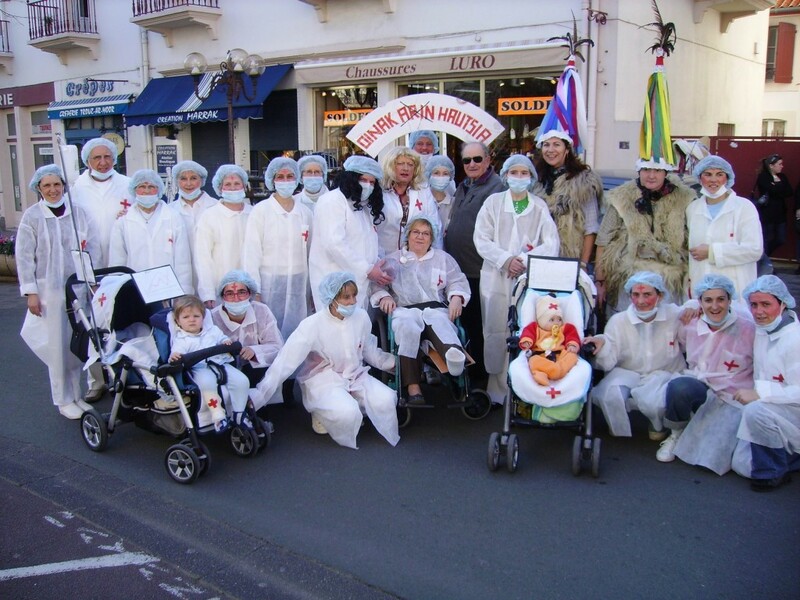 Performance in Sokoburu, Hendaye, as part of the activities the town organises for the summer. 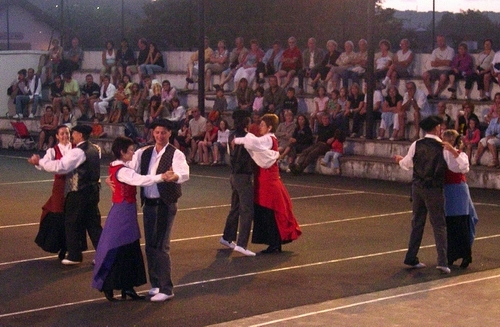 Mutxiko offered a complete dance performance in the trinquet (small covered pilota court) in Ascain, as part of the summer activities programme of that town. 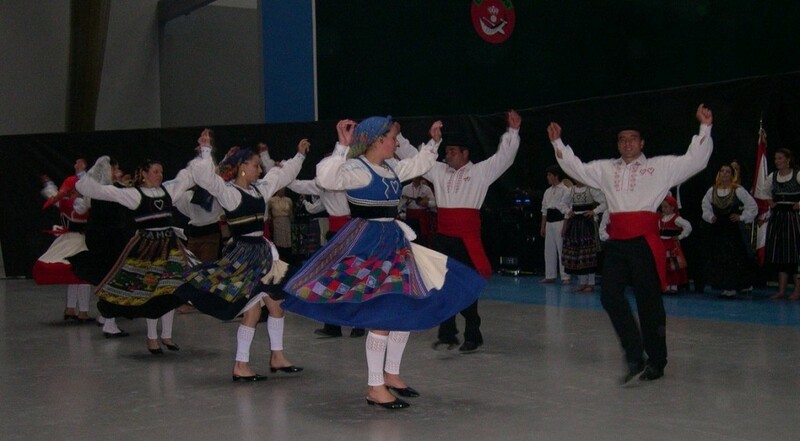 In Paraná, a performance was offered in the public theatre “3 de Febrero”, together with “Urrundik”, the dance group of the local Basque Center that holds the same name. In Buenos Aires, with the help of the members of the Basque Center a performance was offered in the trinquet. More than 200 people gathered to see the performance, which was a perfect way to say good-bye that long-dreamt voyage. With a final farandole together with the public of Buenos Aires, the group said good bye to Argentina. For both groups it was the first time in America, and it was a trip full of emotions and enriching experiences. Our thanks to the people in the Basque Centers that we visited, for their warmth and for taking such a good care of ourselves. We will never forget you and the beautiful land of Argentina. The ”prentsaketa” or pressing of the apple is held every year, and they show how to press the apple for the making of cider, a very typical Basque drink. 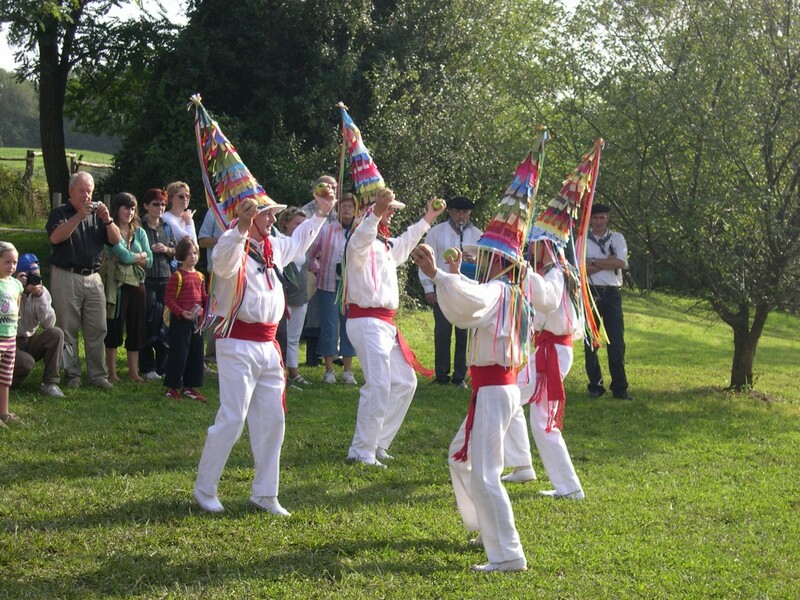 Mutxiko danced ” sagar-dantza” or dance of the apple, followed by Mutxikoak, and other popular dances. 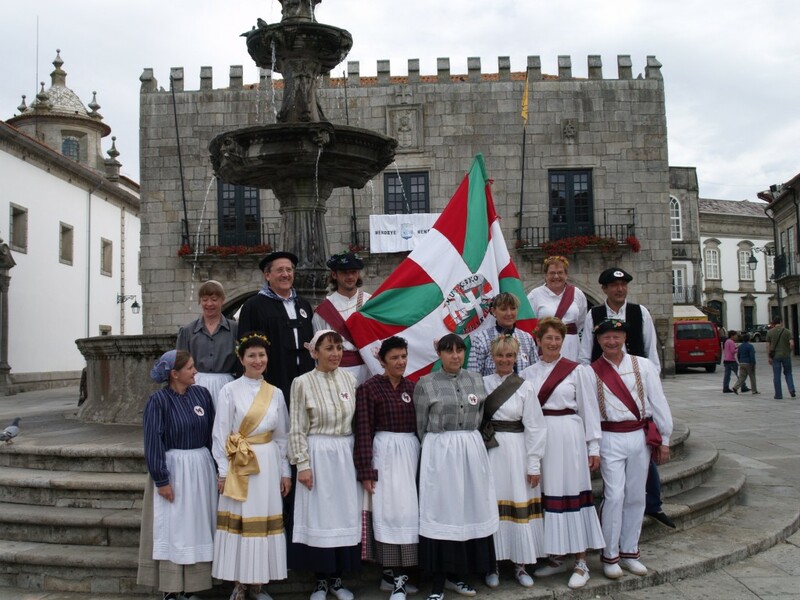 The authorities in Viana invited some representatives of the different associations in Hendaye, in order to take part in the different activities they had organised to commemorate the 10th anniversary of the signature of the twinning agreement between both towns. 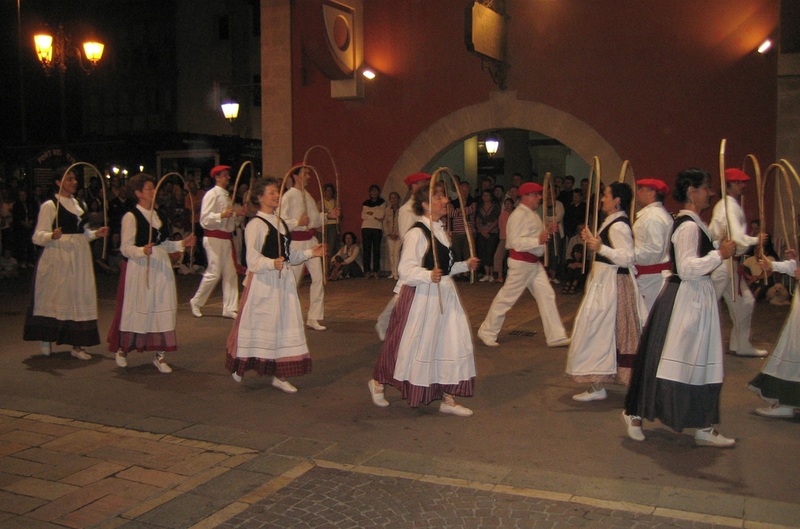 7 members from Mutxiko Elkartea travelled to Viana and danced in the streets of the Portuguese town.